Meet BEN. Email design inspiration from the pros. 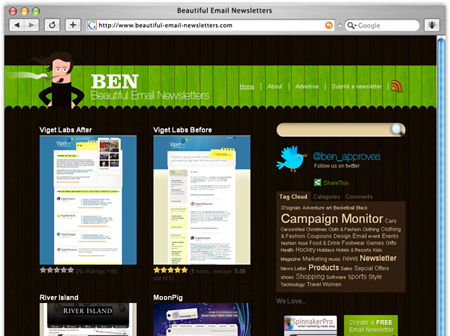 BEN is a new site from the team here showcasing beautiful email newsletter designs. Updated regularly it features email marketing from around the world. Great for when you are looking for a bit of inspiration.